In 1971, Fidel Castro spent a month in Chile, addressing public meetings and discussing with recently-elected President Salvador Allende Cuba's experience in combating US-inspired counter-revolutionary forces. 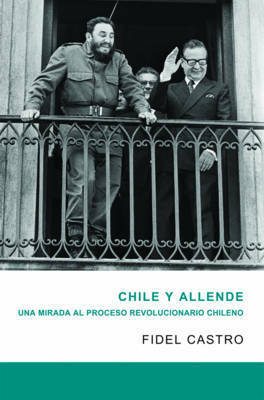 On departure, he handed Allende a rifle. This book includes Fidel's speech in response to the US-sponsored coup by Pinochet in 1973, in which Allende lost his life. Fidel Castro led a guerrilla movement in Cuba that overthrew the Batista dictatorship in 1959. Since then, the Cuban president has been the nemesis of ten U.S. administrations. He stepped down in 2007 but has regularly expressed his views on world events and political personalities in his famous "reflections." Jesus Arboleya is the author of "The Cuban Counterrevolution" (University of Ohio Press).